Welcome to another edition of Mockingjay Mockup, folks! Today's title's not confusing, right?! Needless to say, this one makes our brains hurt a lot. We should also probably let you know that this took us not one, but TWO tries to get the structure sound enough to launch a discussion about it. SO much goes on in Part 2, we wonder if even this will be cut further when the real deal happens. We are expecting (and hoping) that Part 2 will be a full blown 2 and half hour movie. From our research, it seems more necessary material exists in Mockingjay than there is in any other last installment in existence. Today we are going to delve into what some may consider the main event of this series: Mockingjay Part 2 Outline. We had Mockingjay Part 1 end with Katniss and Peeta's reunion as a cliff hanger. We think it would be super cool to end this way (especially for those who haven't read the books), and to start Part 2 with an action scene. Really, for such an epic conclusion, it's kind of mandatory to kick off the movie with something exciting. think we should explore the option of new action scenes to give that opening action kick. There's a certain tone that needs to be set, especially for the last installment of the franchise. If there's anything we can take away from the first Hunger Games film, it's that there is a bigger perspective in the movies than in the book. 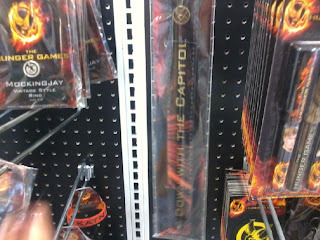 The District 12 rioting scene? Snow's rose garden scenes? 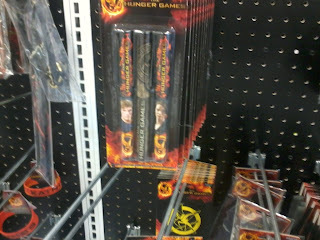 Surely these are tastes of things to come. I would expect not only to see what's going on in Snow's neck of the woods during the war, but what's going on all over Panem. This could also assist in showing through visuals the rebels slowly taking district by district so that all that remains is District 2 and The Capitol. We'll talk about how to achieve this cinematically in our next post: Cinematic Delusions of Grandeur part Deux! From there, we might need to jolt the audience slightly by bringing them back to the horrible situation we left them in: Peeta's hijacking. Nina Jacobson has sworn that in making these films they would not shy away or "soften" any part of this story. 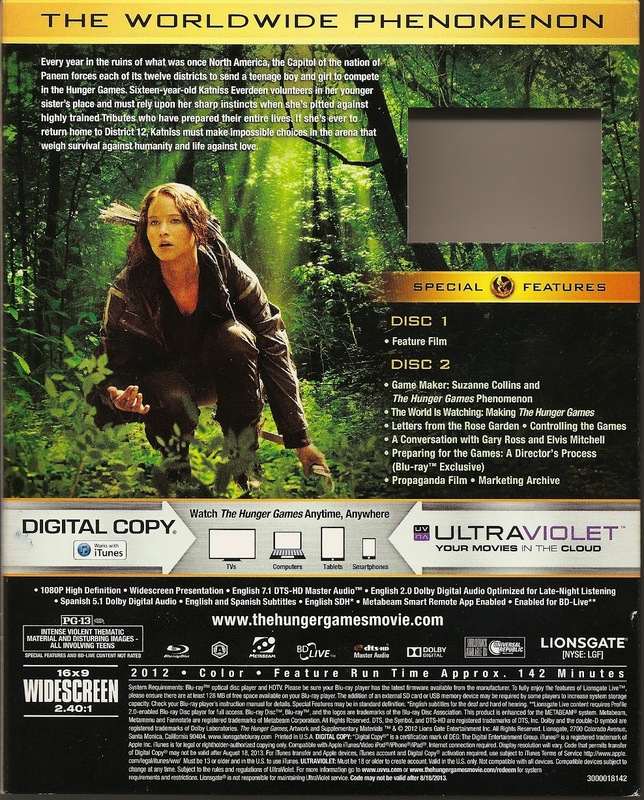 I would expect no different for Mockingjay, so why not show the audience what Peeta is seeing? It could be really interesting (and frightening) to see the world through Peeta's eyes, if only for a moment. From there we may get a scene of Katniss watching him through glass with Beetee talking about what the Capitol did to him. Those Capitol AT-ATs don't stand a chance against District 13! stay there. I mean, really. 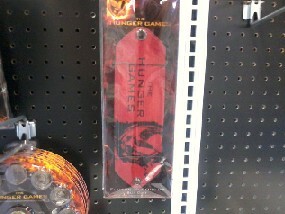 It's a military operation and to not see Katniss training to killl Snow is just silly. In the books of course there is a whole backstory about her training and how she never goes to any of her classes, but in order to focus on the major events going on, we could see them downgrading that story line to just a few training scenes with Johanna. 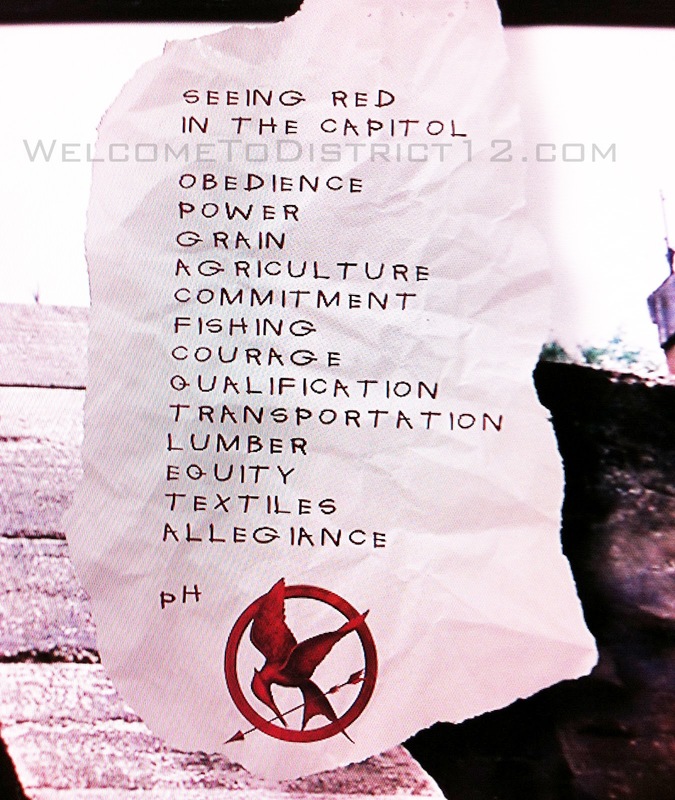 We've put a short training scene inbetween the Peeta scenes. We've done this so the first scene you see explains about his hijacking and follow up to the cliffhanger that ended part 1. Then we get a casual training scene, perhaps with some comic relief, and also so we can see Katniss letting of steam due to the whole stressful situation. 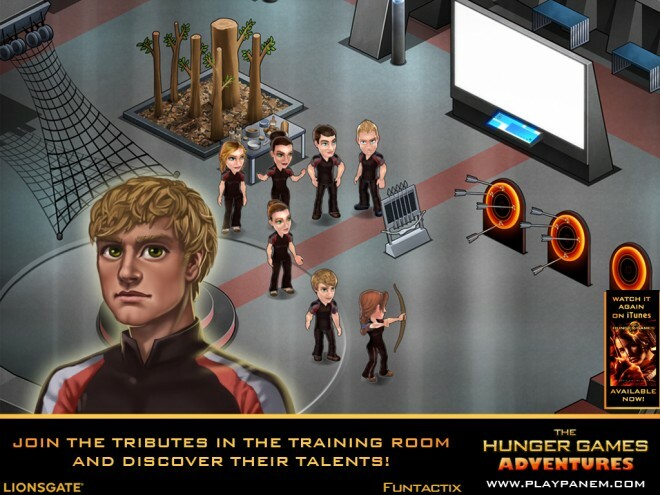 After this training scene, we'd like to revisit Peeta, only this time he actually talks to someone. 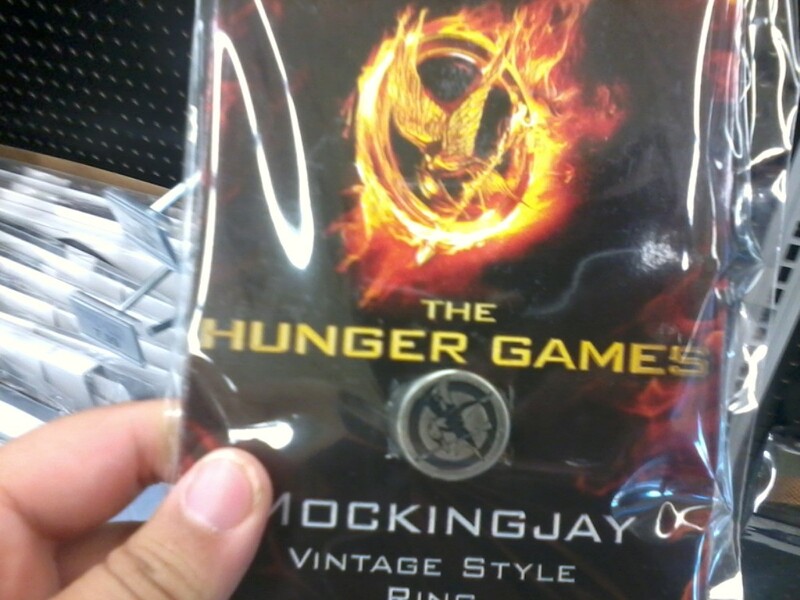 In the books, it is Peeta's childhood friend Delly. Many fans have wondered and are worried she might go the same way Madge does, and I would have to agree that fans have a right to feel that way. It's probable her character will be cut, but perhaps Lionsgate and whoever is writing the script for Mockingjay part 2 will see her value and keep her in, even to also have her around for that hilariously awkward District 13 lunch scene, which we are crossing our fingers for. At any rate, Peeta will have to talk to someone whether it's Delly or Katniss herself, which is a very real possibility. The scene is just to establish how rabid Peeta is at the moment, which in turn makes Katniss want to get away from the situation, and go with the others to District 2. Perhaps Katniss wants to retrieve Gale for the District 2 briefing and she finds him and Beetee poring over blueprints and such in the research room. OOOOOO FORSHADOWING!! We feel this scene is mandatory. It really doesn't even matter where this scene gets put, as long as it's in the first half of the movie. 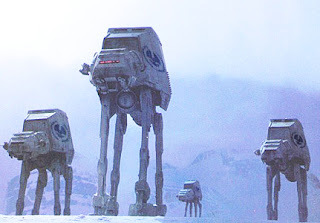 This ABSOLUTELY needs to be addressed because to stay true to the books, there must be either ambiguity on which side deployed the parachutes, or at least inferring it was the rebels. Say it with me kids: Set up, pay off, Set up, pay off. 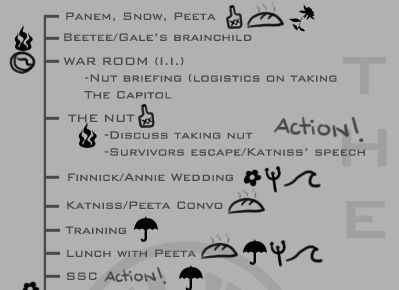 Before we can be whisked away to District 2, there needs to be a scene in the District 13 War Room where we can have The Nut briefing scene along with logistics of taking the Capitol and why taking "The Nut" is so important. Explaining the way the rebels have been taking the districts to eventually take the Capitol is a fairly simple concept that the audience will understand. 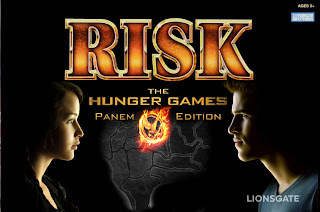 Let's just hope the audience has played enough Risk games in their lifetime. 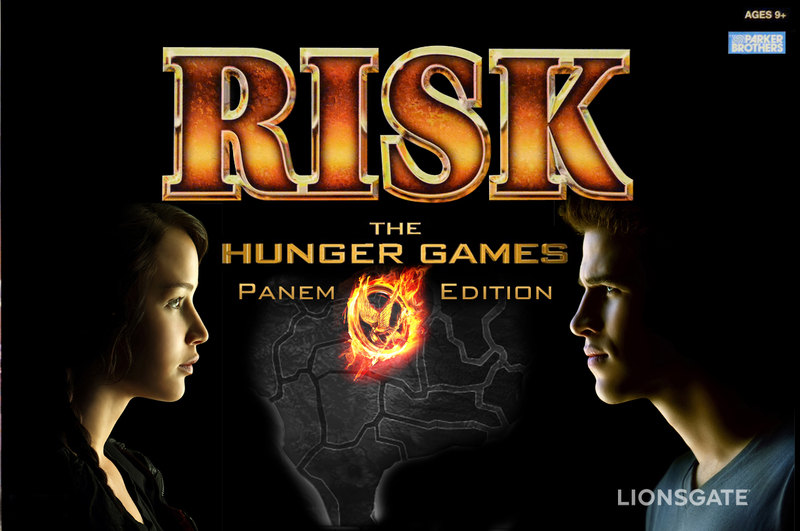 Which makes us think…just HOW cool would it be to play Risk: Panem Edition?! Okay, okay, let's get back on track. Inciting Incidents are sort of odd to place in second parters because it is half of a story. 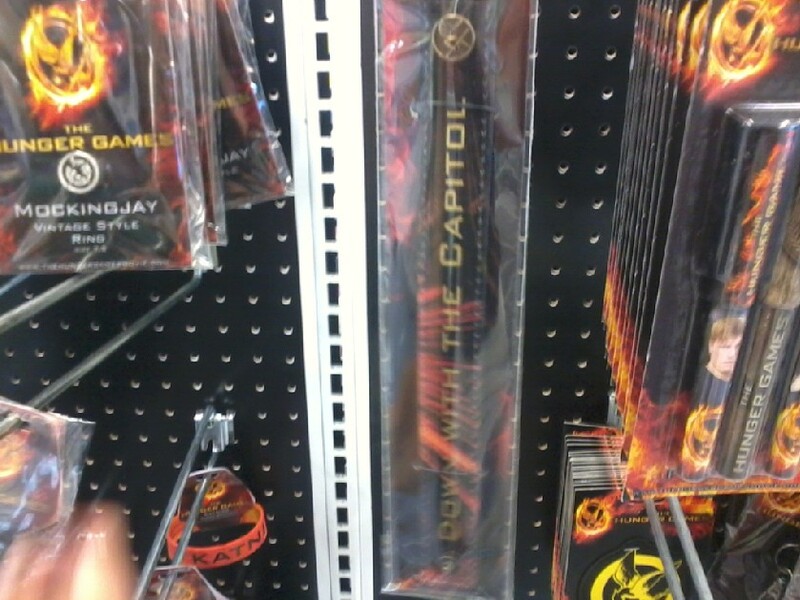 We still found one in Mockingjay Part 2, we marked it as the War Room scene mentioned above. This scene is Part 2's Inciting Incident since that is when we first find out how exactly the rebels plan to invade the Capitol. The mission briefing of The Nut is the chain reaction that will eventually lead to the assault on the Capitol. 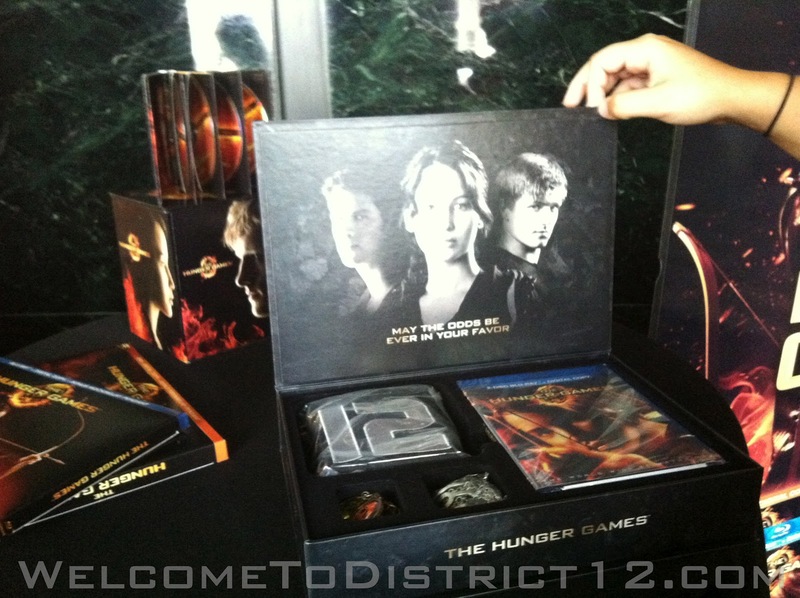 We've been talking about The Nut briefing taking place in District 13, which is possible may happen that way in the film. However, we could see a movie where all the briefing and such take place in District 2, for the running time's sake. 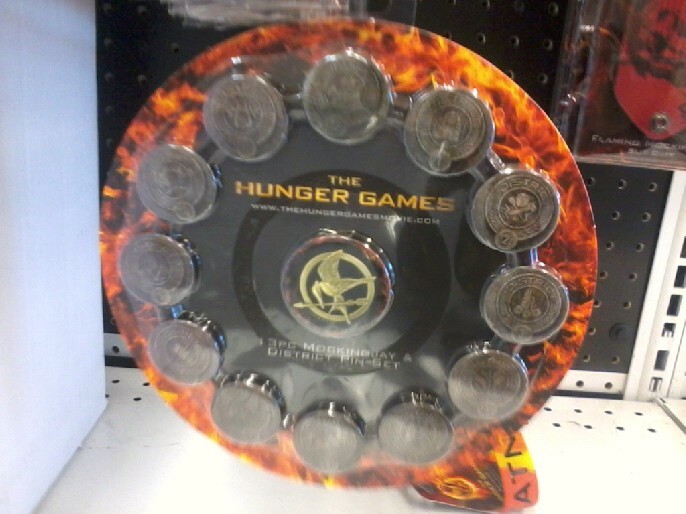 Unfortunately though, we probably won't get a Coin scene if that happens. But maybe Coin having a subdued role in the beginning of the film is better that way. By having the briefing in District 2, we get an idea of why The Nut is important to take, ways of taking The Nut, eventually leading to everyone going along with Gale's plan. Some questions to ponder: Will it be Gale's idea or not? If the producers are so keen on remaining true to the book and not backing away from the severity of the original text like they have claimed, then they will keep Gale's role in logistics for taking The Nut. We hope they will stay as true to the book as possible, which is the utmost importance to the team of people behind The Hunger Games. We're also wondering if they plan on keeping in Lyme's character, or if they will just replace her with Paylor since we were introduced to her character in Part 1, not to mention her eventually becoming leader of the newly free Panem. No doubt the whole lead-in and the action scene of taking The Nut as well as Katniss' speech will indeed be a tad condensed. Much like the first Hunger Games film, we're expecting part 2 to be GO GO GO, because a lot happens, many of these events being post climax. The Nut is put here so that we can have a big action scene in the first fourth of the film. We have heard discussion about putting The Nut towards the end in Part 1. If there was a good way to achieve this, we would welcome it. However, we really do like the idea of ending on a cliffhanger, and that would also mean The Nut scene being diminished (it's a pivotal scene for the success of the rebellion! ), severely diminishing the District 13 bombing, as well as many other things being diminished from Part 1 (I'll be damned if the District 8 scene doesn't get the focus it deserves!). Of course it would be great to have more time to focus on the many important things that occur in part 2 by not having The Nut, but like we said, we are a little afraid of that scene being too diminished or rushed as well as other incredibly important things such as Katniss' friendship with Finnick, and those other action scenes we've already laid out in Part 1. 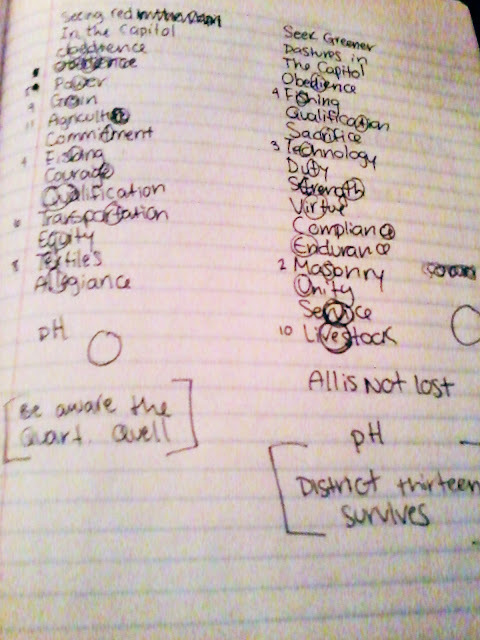 We think Part 1 has enough going on already, especially alongside the fact that there's the whole system and location of District 13 to establish and explain. Despite how much we have been talking about this, we are still only a fourth of the way through Mockingjay Part 2. We've got what's going on in Panem, Peeta's situation, reference to Gale and Beetee's brainchild weapon, obligatory training scene, and The Nut (introduction and action scene). We're only about 40ish minutes in. After a few more scenes (some of them likely to be cut), it'll be one big race to the finish. Before we get into that, let's look into the "calm before the storm" scenes. 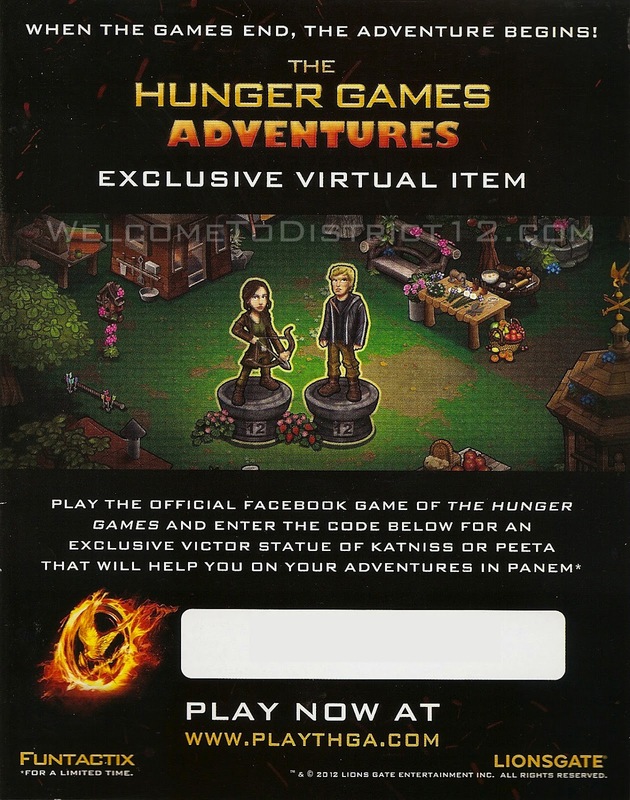 The big scene following The Nut will be Finnick and Annie's wedding. Structurally speaking, I think we can count on this making the cut. First of all, it's possible Lionsgate may be too afraid of the fan fury they would receive if they cut it out. Secondly, in such depressing subject matter, there comes a point where you need a mood relief. It's a necessity. After this enjoyable scene, Katniss visits Peeta for the first time. 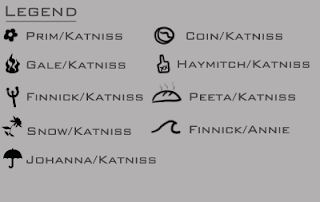 Depending on whether Delly makes the cut depends on if it will be Katniss first or second time visiting Peeta. Really whether it is or not does not matter, what matters is that Peeta is still sick, but not as rabid as the first time we saw him. We're not expecting this scene to be cut at all. The next scene is one that might be cut, but we put it on the list because we're hoping it makes it in. This is the scene in which everyone is having lunch together, and Peeta joins them. 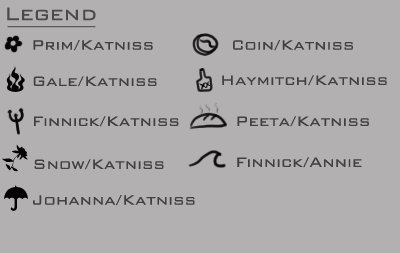 We like the idea of there being at least one lunch scene in all of the Mockingjay movies, so we can see all of the main characters interacting, most specifically Johanna, Finnick, and Annie. Due to all the madness going on in the books, it's hard to put in those scenes where they are all together sort of socializing. When Peeta comes to join the party, it establishes that he is slowly being integrated back into society, and also provides for some of Johanna's hilarious awkward comments on the whole situation. The last scene before things gets real, is something actually….not real at all. It makes the training scenes relevant and sort of completes the whole military operation image. 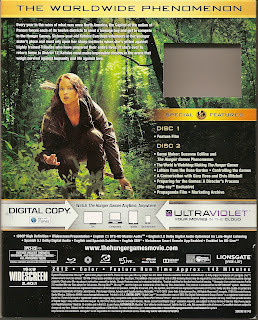 Katniss' final test for the field: Street Simulated Combat. We think this is just a cool scene to see (and probably expensive. Yikes!) 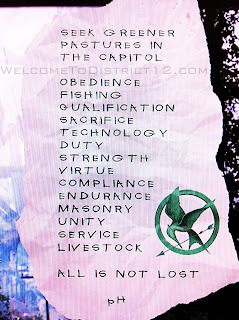 as well as establishing Katniss' continued weakness of not following authority. It's VERY possible this will get cut, but we just thought it'd be a cool thing to see. Plus, ACTION SCENE! 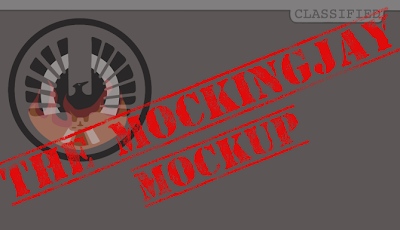 In our next Mockingjay Mockup post, we will reveal the rest of our Mockingjay Part 2 chart and discuss important scenes that will most likely make the cut! There will also be some discussion about Mockingjay's diversion from your run-of-the-mill film structure featuring Pre-Climax and Climax, and some interesting options for the ending of The Hunger Games franchise. See you next time! 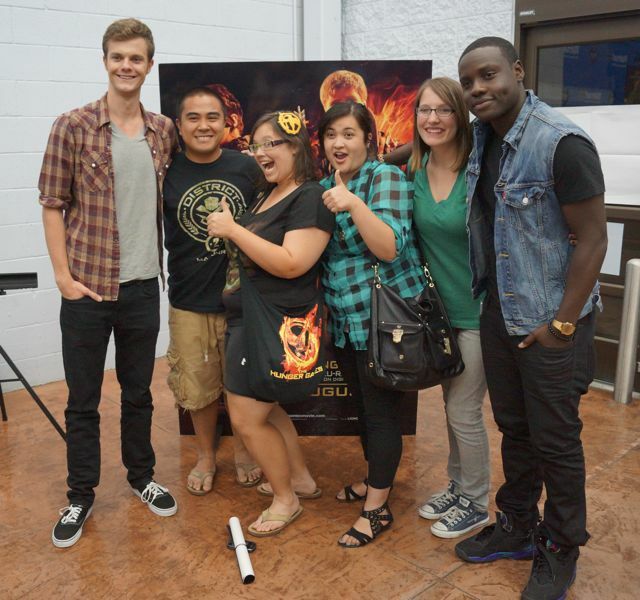 Hunger Games Cast Members Appearing at Walmart Midnight Release Parties! Certain Hunger Games cast members will attend Wal-Mart midnight release parties starting at 11 p.m. on Friday, August 17! 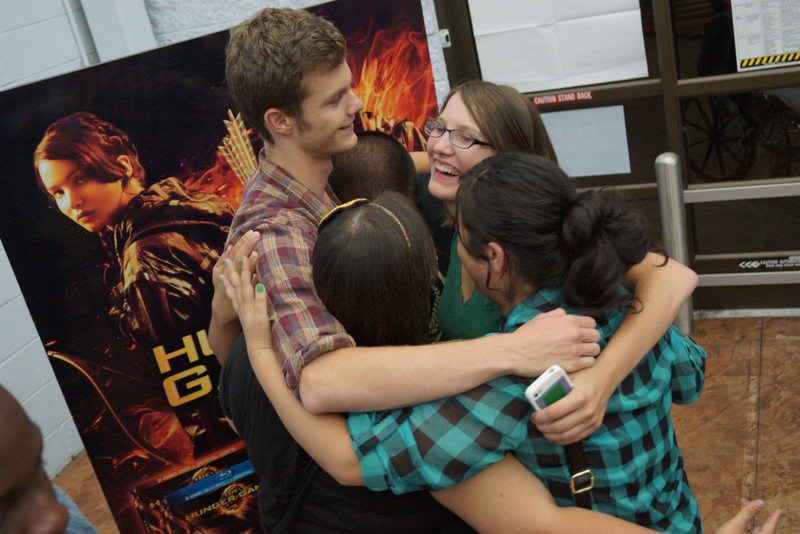 In addition to the midnight party release fun, fans will also be able to access never-before-seen interviews and behind-the-scenes footage on Walmart’s Facebook page: www.facebook.com/walmart. 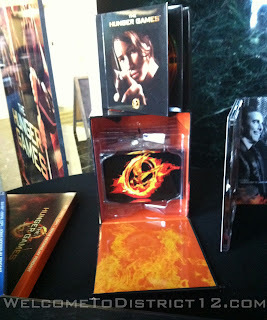 Fans who purchase the DVD at midnight will receive a special pack of collectible The Hunger Games trading cards, while supplies last. 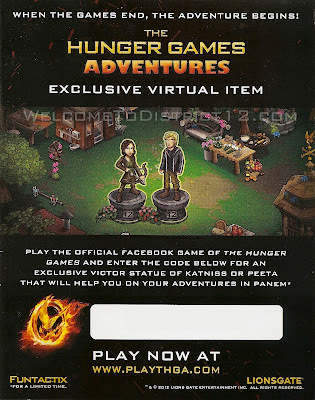 A select number of random packs will include an autographed card from one of the cast members. Customers who prefer to pre-order The Hunger Games 2-disc Blu-ray or DVD online at Walmart.com prior to the movie’s release on August 18 will have a chance to win a trip to Los Angeles to attend The Hunger Games: Catching Fire premiere or other exclusive prizes. And for even more fun, celebrity party-planning expert Hostess with the Mostess has partnered with Walmart to host a live #DistrictParty Twitter party at 4:00 p.m. ET Thursday, August 16. 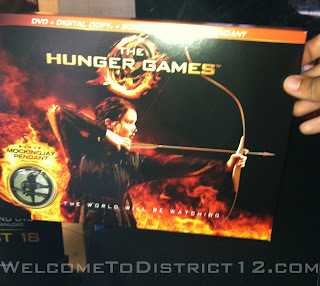 Fans can follow @Walmart and use the hashtag #DistrictParty to join the conversation and get tips and ideas about hosting their own The Hunger Games themed viewing party to celebrate the DVD release. Sounds like a blast! 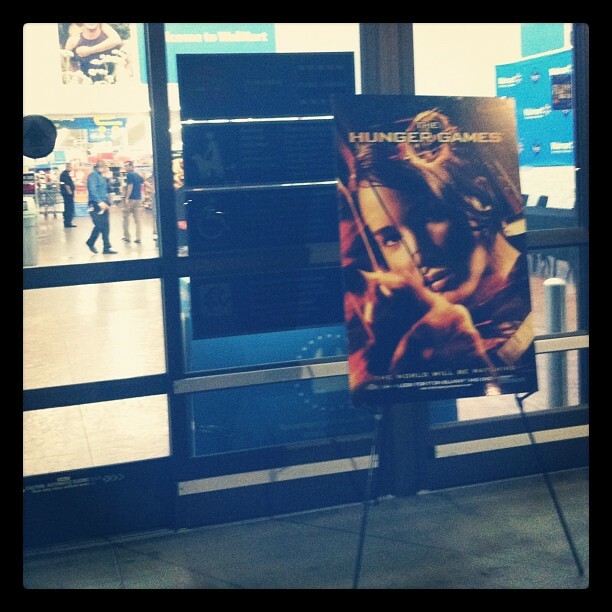 Remember, you can head over HERE to see where the closest Walmart midnight release party is happening near you! Another day, another tribute casting! Maria Howell cast as Seeder! Check out her IMDB page HERE. 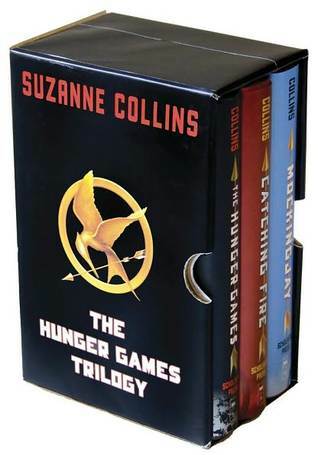 Santa Monica, CA, August 13th, 2012- Lionsgate® and the filmmakers of THE HUNGER GAMES: CATCHING FIRE are pleased to announce that Maria Howell has been cast in the role of Seeder in the much anticipated film adaptation of Suzanne Collins’ worldwide smash hit novel Catching Fire. 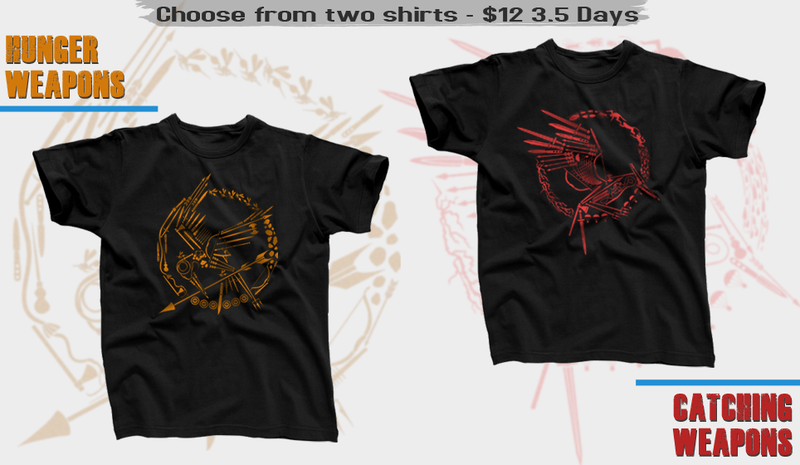 A former victor from District 11, Seeder competes in the 75th Annual Hunger Games, also known as the Quarter Quell. Okay, so I know we don't typically post about The Hunger Games actors' other projects (partly because it's not directly related plus there are just so many to post about), but over a year ago Tiffany and I got to go to a test screening for Red Dawn and LOVED it. 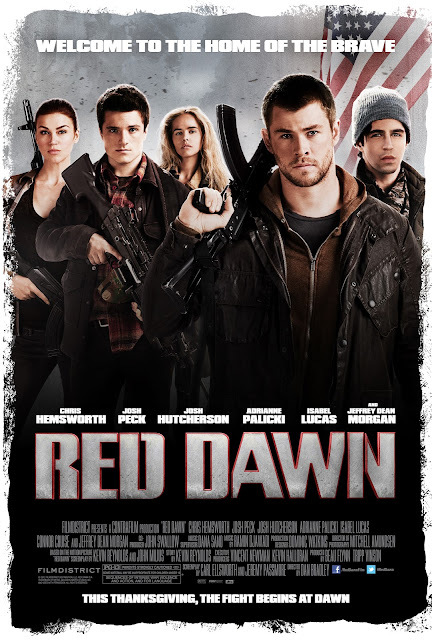 Since then, we've been very aware about any Red Dawn news coming out. It was made way back in 2009 and FINALLY it will be in theatres in a few months! Josh Hutcherson fans, you won't wanna miss this one! We're sensing a pattern here! It's another day, another casting announcement! It's just been announced that E. Roger Mitchell has been cast as Chaff! Make sure to check out his lengthy IMDB page. Santa Monica, CA, August 10, 2012- Lionsgate® and the filmmakers of THE HUNGER GAMES: CATCHING FIRE are pleased to announce that E. Roger Mitchell has been cast in the role of Chaff in the much anticipated film adaptation of Suzanne Collins’ worldwide smash hit novel Catching Fire. 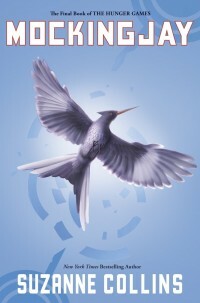 A tribute from District 11, Chaff won the 45th Annual Hunger Games and will compete in the Quarter Quell. So, I sat on this information for a few days. Frustration abounds, really. So excited about the discovery, but nowhere near finding an answer. We tried taking the first letters and jumbling them, taking the district names away, etc. Then, a breakthrough! Just a few hours ago I was looking at the main Blu-Ray disc to see if I missed anything. FINALLY, it made sense and I was kicking myself that I didn't see it before! After the Lionsgate logo shows up, the opening animation of The Capitol reveals banners of each district, each with a word at the bottom of each banner. As these banners zoomed by, you saw some letters light up red, and some green. While this was confusing as hell the first time around, everything started to fit into place. 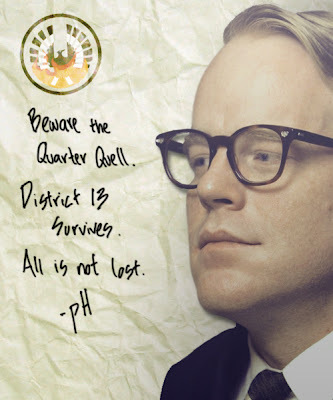 "Beware of the Quarter Quell. District 13 survives. All is not lost." 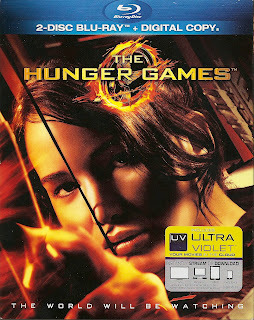 -Tribute Video Diaries -- "The seven main tributes use their flip-cameras to document the build up to the release of The Hunger Games, (2) Stories from the Tributes – sit down with the tributes and hear the best stores of their time filming the most anticipated movie of 2012, (3) Tribute Biographies – find out all about your favorite tributes with this animated gallery and (4) Tribute Photo Gallery – personal photos of the tributes." Unfortunately, it's not available to preorder online because there are a limited quantity of them (I believe the people at Lionsgate said around 40,000). 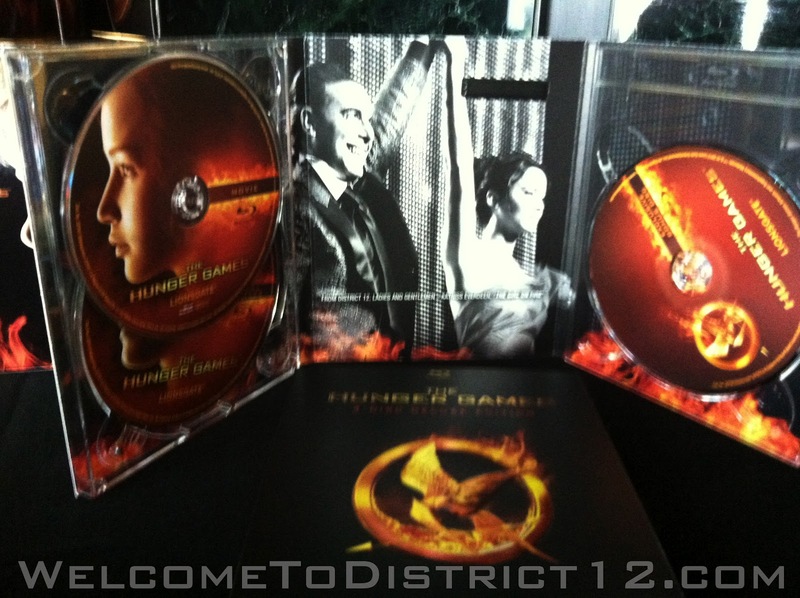 It comes with both the DVDs AND Blu-Rays. 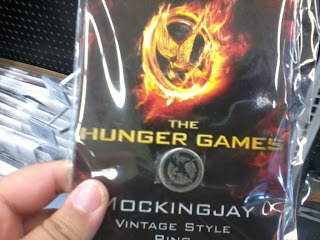 No particular special features, but does come with cool acrylic Mockingjay which would probably look pretty sweet on your mantle. This fancy box set will be available at Costco! 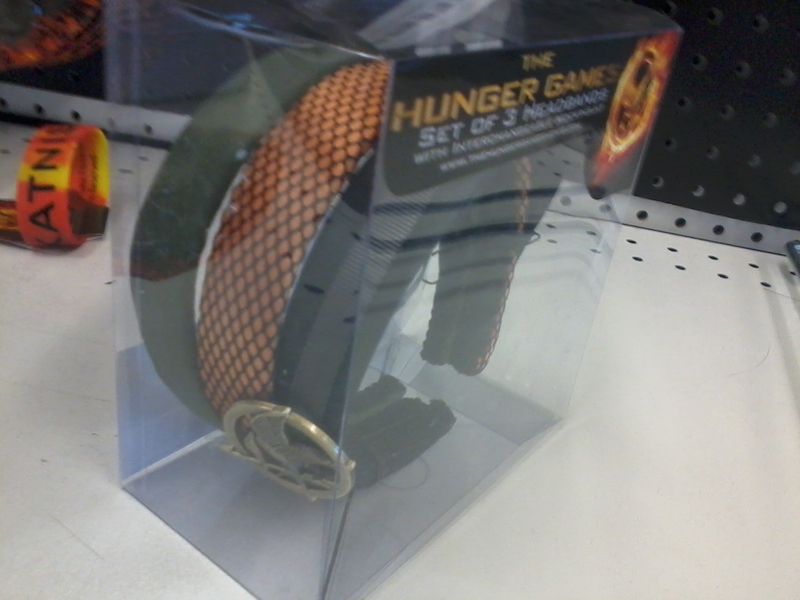 In addition to the movie, this comes with a District 12 arena bag, a Hunger Games bag clip, and a parachute necklace! Oo la la! 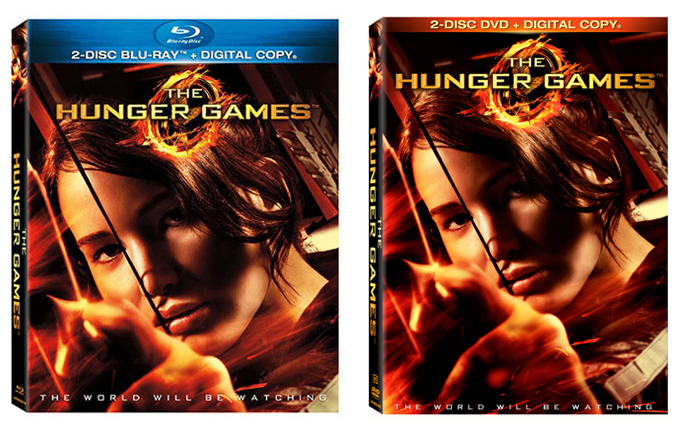 That's it for all the popular DVD box sets available for purchase! Choose wisely! Or, you know, buy them all. One last thing! Be sure to check out Aldrin's vlog from our trip to Lionsgate! Watch Courtney do something silly at the 4:43 mark, and at 5:17 watch Arianna from DWTC and Courtney give a rundown on our recommended box set: Target! Casting Alert! They just keep coming! Alan Ritchson has been cast as Gloss and you can check out his work HERE. Santa Monica, CA, August 8, 2012- Lionsgate® and the filmmakers of THE HUNGER GAMES: CATCHING FIRE are pleased to announce that Bruno Gunn has been cast in the role of Brutus in the much anticipated film adaptation of Suzanne Collins’ worldwide smash hit novel Catching Fire. 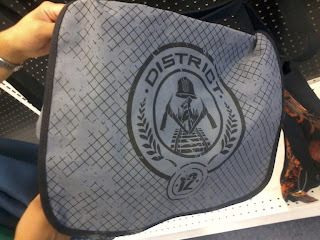 Brutus is a former Career victor from District 2. 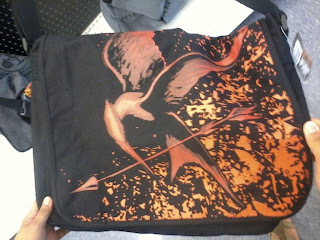 Ongoing casting news and information for the film can be found at: www.CatchingFireCasting. Pens! That's also a Mockingjay patch below it. 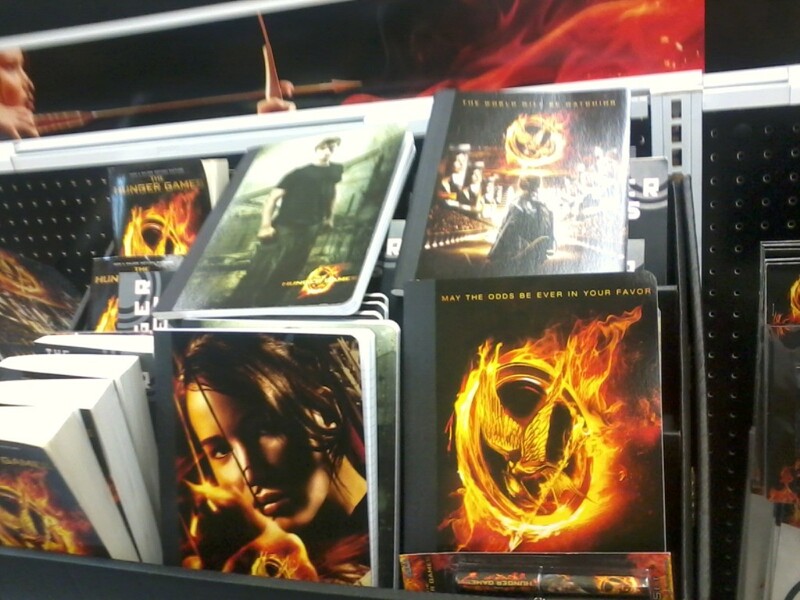 Composition books. Yea, I bought one. 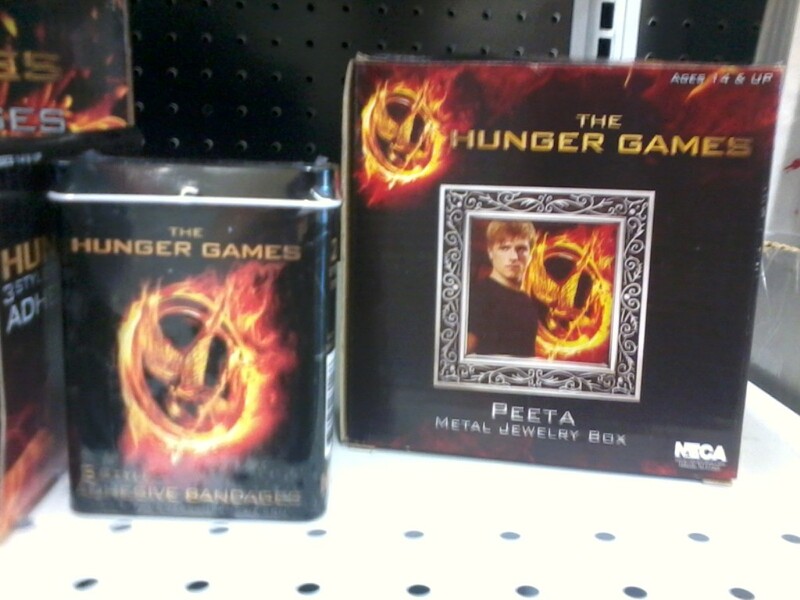 Bandaids and where would you be without this Peeta jewelry box? That's all I could find, and this particular store seemed to be ransacked. 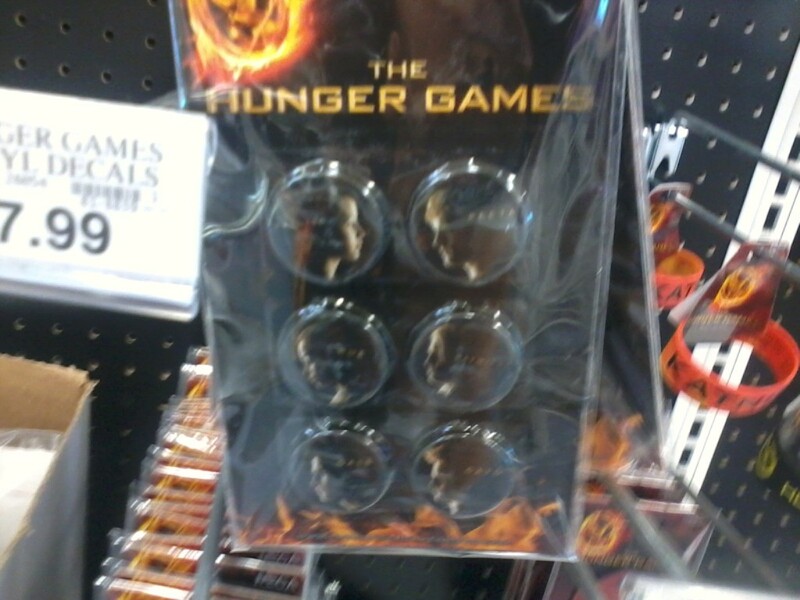 I imagine they will get more merchandise in, and this won't be the only place to get it! 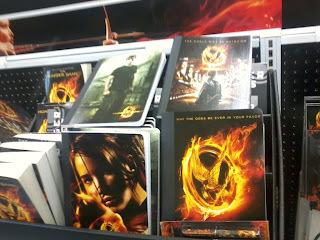 We've heard that Target will be the go to place for Hunger Games merchandise as we near the Hunger Games DVD release date! Happy shopping!